Cardas chassis wire uses the same ultra pure copper, Golden Ratio stranded litz wire found in all Cardas cables. All Cardas chassis wires use multi-stranded copper in a colored jacket. NOTE: Cardas manufactures Litz conductors. These conductors have an enamel coating on each strand that must be removed. This is best achieved using flux and a solder pot to tin the ends. This page features a video showing this technique. 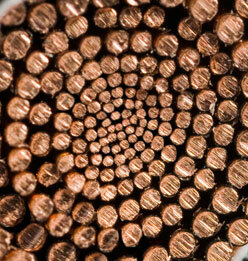 Failure to properly tin the wires will result in a conductor that does not perform correctly. As an added measure of quality control, the enaml coating on a portion of our copper strands is dyed a specific color, according to gauge. This enables us to verify that each conductor is properly constructed. A production run of any given Cardas chassis wire or bulk cable may contain copper strands with both clear and dyed enamel coating. The dye has no effect on the conductor's performance. A cable contains one or more conductors, may or may not include a shield and/or other materials (PTFE tape, cotton dielectric, etc. ), and has an outer jacket. Bulk Cable refers to cable we sell by the foot, without any termination or preparation. Short lengths are coiled & placed in a bag. 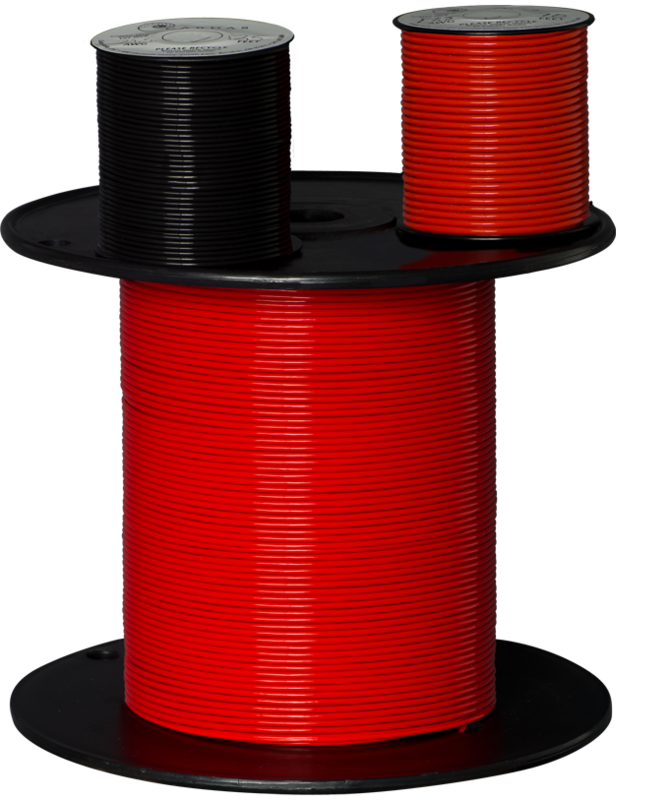 Longer lengths are sold on a spool. This list shows all of the bulk cables we have available. Hover your mouse over each cable to zoom in. Use your mouse's scroll wheel to control zoom. Chassis wire or copper/silver stranding? Chassis wire is multi-stranded copper, with a colored outer jacket. It is often used inside of speakers and electronic devices, such as amplifiers. 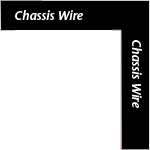 Chassis wire is sold by the foot, and most gauges are in stock. You are on the correct page for this product. Copper and silver stranding (Cardas Metals) is just that - spooled up strands of pure copper or silver, available in various AWG's, coated or uncoated. Strands are used by customers making their own cables, or winding transformer coils. Stranding is sold by the pound, and lead times depend on the AWG. Click here for our metals page.